Well after another big UFC PPV done its time for another What's Next for the winner's and losers! While I have to be honest I didn't really care who won this weekend after seeing the result im happy that Dustin won. Max is still the Featherweight champion at the end of the day this was more Dustin's big shot that Max's. And oh my did he rise to the occasion the victory marks Dustin 4th straight win, his 4th straight post fight bonus with x3 FOTN and x1 POTN awards and his 3rd win over a former or current UFC champion in 4 fights. Dustin showed himself to be the much more powerful fighter and looked like he was going to finish Max a few different times. I can't say I favour him I a fight with Khabib but Dustin now has his chance to prove everyone wrong. Adesanya takes his place as the undisputed number one contender to the Middleweight title and could easily receive a FOTY nomination after that fight between him and Kelvin at the weekend. Not only does this set up his title shot against Rob once he returns, it builds the stock of both Adesanya & Gastelum (more so Adesanya) so much more as with such an exciting fight even more people will know who Israel is now and will be wanting to see his next fight. Without a doubt the most impressive and dominant win of Khalil's young UFC career, Rountree Jr. is someone who has always been near the fringes of the top 15 and while Anders isn't a big enough name to propel him in to the rankings it should at least set up a fight with someone who will. With so many top LHW's already paired up one name that does seem like a realistic possibility is Jim Crute the 10-0 Aussie prospect is just a win away himself from the top 15 so if Khalil is able to hand Jimmy his first loss then there's no reason why he can't take his place. Dwight got the nod against Jouban in a split decision victory that could have gone either way but no matter he got the W. It was not a fight that will have the rest of the Welterweight division worried so Dwight just needs to get back in there as soon as possible and get another victory to keep himself moving in the right direction. A hard one to judge just how much higher calibre a opponent you give to Grant after Jouban but I think you have to give him at least a small step up so why not match him against another winner from the weekend Max Griffin. After a rocky return to the UFC losing his opening fight Nikita Krylov has proved that the time away in FNG was well spent. Getting a win in his rematch with OSP who beat him 4 years earlier. If Krylov can string together a few wins he has serious potential to be a fan favorite as of all 31 of his fights not one has ever made it to the decision and only one fight of his has ever even made it to the 3rd round. With that in mind you want to see him booked against someone who is like minded in their finish friendly approach and with so many other top LHW's already matched up in makes a lot of sense to see Krylov take on Shogun. Unfortunately for Max the jump up in weight class looked to be more of a disadvantage than an advantage for him as he looked undersized compared to Dustin and a clear disparity in punching power was also on display. This loss doesn't really hurt Max as much as it would have Dustin as he stepped up a weight class to take the fight and now can just step back down to Featherweight and focus on defending his own world title. Max will have his eye on UFC237. I can't see Aldo getting a third title shot but if Volkanovski can get past him then he definitely establishes himself as the new number one contender. Much like Adesanya, Gastelum will actually gain a lot of new fans and supporters from their potential FOTY contender on Saturday. Unfortunately unlike Adesanya Gastelum did not gain the belt. For Kelvin this marks only the second time he's ever lost at Middleweight so he will be confident he can correct his mistakes in his next fight. However he might have a difficult task if he books his next fight anytime soon as the only MW's currently not booked who are ranked close to him are Romero, Weidman and Costa. Weidman I can't see him fighting again, Costa still has USADA issues so the most likely next opponent is Yoel. There is no other way to say it Anders was on the end of a very dominant performance by Khalil Rountree. This marks his 3rd loss in a row and 4th of his last 5 fights putting him 3-4 since joining the UFC. The college football star Anders was tipped to be a welcome new addition to the 205 or 185 top 15 but now its uncertain if Anders will actually fight with the UFC again. Due to the contentious loss to Machida & fact he was a late replacement against Santos I think they give him one more shot. I think a move back down to Middleweight would be the best bet as he at least knows he's has success at that weight before. Jouban was on the wrong end of a split decision loss (a result he did not take kindly to). A common theme that seems to be running for most of the losers this time is that it marks their 3rd loss in 4 fights, the same is true for Jouban. As a 4 time FOTN winner you likely won't see him cut, its just a matter of what's the best available fight he can get in the near future coming off a loss. With that in mind I think a good match up would be with young Jake Matthews. OSP finds himself in a tough spot now having lost 3 of his last 4 fights but this likely won't deter the 19 fight UFC veteran especially when he has been in this position before losing 3 fight in a row. Although this last loss dropped him out of the top 15 I don't think there is any worry of OSP being cut he's had enough fights to have earned some good will however his next opponent will be a crucial to get the win over to avoid him losing 3 straight/4 of his last 5. Cirkunov is another guy who's lost 3 of his last 4 with all 3 of those losses coming in the first round, neither guy is going to really trouble anyone in the top 5 so match those two up. Dustin should fight Tony in the summer. Kelvin should still get his title shot against Whitaker. Israel can give Derek his rematch. Sometimes i wish you was the UFC matchmaker, great picks yet again. Although some were fairly obvious. 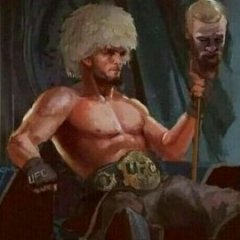 I will bet that Khabib is not gonna fight DP! Max got no opponents and Im sure baldy is kicking himself by making Moicano and Jeremy fight Aldo. He's probably spent the last day composing the eventual post. That whole interim-title was a joke. Izzy got to jump the line by beating #15 Silva ffs. He hadn't faced anyone inside the top 5. Gastelum at least beat Jacare but also lost Wiedman. I would rather watch Izzy defend his 'title' against Romero tbh. Rob can wait and fight the winner in Dec.
Gastelum vs Anderson sounds good and reasonable to me. Kelvin should have to fight someone under the age of 40 so he doesn't earn another shot by beating old guys. I understand it's Andy but old and #15 in the rankings. Give him Costa. #5 vs #7, two of the younger guys in the division. Btw has anyone looked at the MW rankings? What an old division. Over half of the top 10 are 35 or older. I agree, if they get some young talent he's ****ed. His hands are fast but his striking isn't great and his cardio is ****. Are Costa's USADA issues resolved? Yeah he'd probably be one of the guys who benefits the most from a 165 division simply because it would likely push 170 to 175 making it a little more manageable. Btw has anyone looked at the MW rankings? What an old division. Over half of the top 10 are 35 or﻿ older. Weidman & Souza don't seem like they are gonna make it to a title shot again just kill off new contenders. Least they have some decent newer guys breaking through in Adesanya, Costa, Hermansson and Carlos Junior.